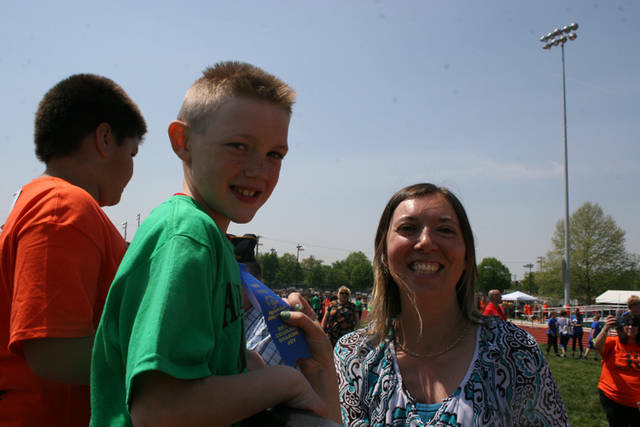 Lauren Henry, past president for Rotary, is pictured with a smiling first place winner, Lee Hatch of Greenville Schools, at last year’s Darke County Special Olympics track and field event. GREENVILLE – Rotary has been a long-time supporter of Darke County Special Olympics. This year’s Darke County Special Olympics track and field event is scheduled for May 10 at the Jennings Center Track and Field Complex in Greenville with May 13 being the contingency date for bad weather. Darke County Special Olympics provides year-round programming in athletics for students and adults with special needs throughout Darke County. For more information, call 937-504-2050.